Just a day after helping expose yet another scandal in the Obama administration, one where Obama’s Energy Department has been suppressing the people’s desire for more energy exploration in America, Sarah Palin announces the success of an oil exploration initiative she put in place. As most know, some oil companies have leased land but are not exploring it, for any number of reasons. One of those leases was Point Thompson, held by Exxon-Mobil. After some 30 years of dithering, Exxon-Mobil has now drilled it’s first developmental well. Congratulations are due Exxon and the State of Alaska’s Department of Natural Resources for completing the first development well at Point Thomson in northern Alaska. This is a huge field full of domestic crude, and it’s time to drill for it! This week we’ve witnessed great progress toward more energy security for Alaska and our entire nation. What began as hefty trucks and hard working men and women heading up an ice road last year, to the commencement of drilling at Point Thomson, this progress has finally led to Exxon’s announcement today of completion of its first development well to produce oil and gas. 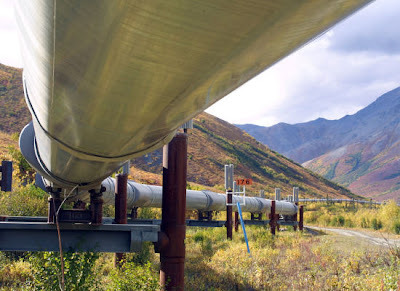 Our “tough stance” with big oil and perseverance in insisting that Alaska’s resources be developed instead of warehoused while foreign countries are busy developing their oil and gas reserves has paid off to the benefit of everyone involved. Drill here, drill now… energy independence is a national security issue that can’t be ignored any longer. Now this didn’t happen over night. It took a lot of hard work and a tough stance by then Governor Palin to force action at Point Thompson. Sarah played hardball with Exxon-Mobil. Threatened to take their lease and bid it to some other company. When Sarah threatened to yank Exxon-Mobil’s Point Thompson lease, the world’s largest oil company threatened court action. Sarah laughed at them and told ‘em to go ahead, she knew the way to the courthouse too! This folks, is how you get things done. Our current president doesn’t get it. 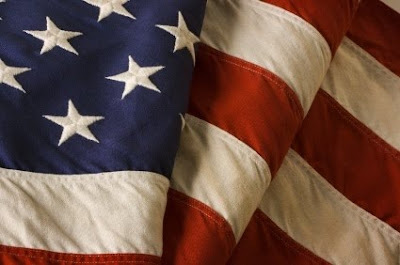 Energy independence and national security go hand and hand. The terror attack on Christmas Day has brought out all sorts revelations about just how pathetic our terror fighting abilities truly are. I mean this deal was a comedy of errors and it was only by the grace of God almighty himself that this Islamic mad man’s Underbooms © failed to explode and take the plane down. Not only was Abdul Farouk Umar Abdulmutallab on several watch lists, and from a real hotbed of al Qaeda terrorist activity, the guy’s own father warned the embassy that his son had become radicalized by militant Islamic fanatics. Never mind Abdul showed up with no luggage, tried to board with no passport, and paid for the one-way ticket to Detroit in cash. Who goes to Detroit without a ticket out of there anyway? As bad as all of this is though, and this is a serious indictment on our entire terror fighting process, it also highlights another issue, energy independence. Long before Sarah Palin made “death panels” a household word, long before she was even picked as the John McCain’s running mate, Sarah made energy independence a centerpiece of her message, her career. Sarah didn’t just talk the talk either, within hours of stepping into her new office as the Governor of Alaska, she began working on making the decades long dream of a natural gas pipeline to the lower 48 a reality. It was Sarah’s dream to get Alaska’s 100’s of trillions of cubic feet of clean burning natural gas out of the ground and into use. She was able to work out all of the issues and now the pipeline is on track to become a reality. Of course, Sarah’s message on energy independence isn’t just an economic one. Now it’s true, we send between $700 billion and $1 trillion dollars annually overseas. The problem is many times it’s to nations that not only hate us, but use our own dollars to fund efforts to undermine us as a nation. In other words, they use our dollars to fund terror, world wide, against the United States, and our allies. Art therapy rehabilitation program. Really? Who’s running our war on terror efforts, Pee Wee Herman? This of course, just points out the absurdity of our entire approach to this issue. It should also be the final nail in Obama’s grand scheme to move Gitmo to Chicagoland, and make his corrupt buddies richer off of tax payer dollars that it will take to basically convert an unused prison into a “supermax” job. There are issues with much of the Middle East, for sure, but by far, Saudi Arabia is the biggest problem, and a hot bed for radicals. Well funded radicals. But we are powerless, because we need them for the oil they have, so we must “play nice” with them. There are other nations, such as Venezuela, who are teaming up with bad actors like Iran, and Russia, forming alliances that will further weaken the United States, and her allies. These relationships will also allow Venezuelan dictator Hugo Chavez to exert power over weaker South American states, thus spreading communism and further destroying what freedoms people in that region have. It will be a disaster. I know Obama and his group of thugs, along with Al Gore, the Bernie Madoff of the climate change hoaxers, are doing their level best to keep Americans from using their own God given natural resources, all in an effort to enrich themselves, and their friends, by lying to the American people. First they create a “crisis” in the name of the totally laughable claim of “global warming,” then, they just so happen to have ready made solutions, and the promises of completely non-existent “green jobs” that will “grow the economy,” if only we will allow them to destroy the one we have now. These are really just schemes to enrich themselves, and their closest friends. We’ve already written about the Chicago Climate Exchange an already in place carbon credit trading scheme, where billions of dollars worth of carbon credits will be traded on the open market. Owing to the fact this thing is in Chicago, does one even need to ask if there is any corruption, or “friends of Obama” involved in this deal? Al Gore has already made millions off of his hoax, and stands to make billion through the cap and trade schemes. Past that, big Obama supporters like General Electric, which owns NBC/Universal, will also clean up, so to speak, as they make many of the implements of the global warming scam. Energy: Earlier this year, Congress approved a scheme to pour $80 billion — on top of the tens of billions already spent — into renewables. A government report released last week indicates the money will be wasted. Renewable energy is the shiny gem that everyone wants but no one can have. Not even a president. Campaigning last year in Lansing, Mich., President Barack Obama said that it was his goal for the U.S. to generate 10% of its electric power from renewable sources by 2012 and 25% by 2025. But he cannot, by the force of will or executive order, change the laws of physics and economics. America has long relied on fossil fuels to power its economy. Oil, natural gas and coal provide about 84% of the nation’s energy. And for good reason. They are plentiful and typically easy to retrieve, and, consequently, cheap. At the other end of the spectrum are renewable sources such as solar, wind, biomass and geothermal. They supply only about 4% of our energy, the remainder coming from hydro and nuclear power. An axis of environmentalists and Democrats want to change this ratio, because, according to the usual complaint, we depend too heavily on the fossil fuels that emit carbon dioxide. Trouble is, the market for renewables is poor. Few want to use the inefficient, unreliable and expensive sources. But that hasn’t slowed the renewable energy campaign, which has succeeded in persuading the public that renewables are a sensible energy source and convincing Congress to fund supporters’ daydreams. The government can continue to “invest” in renewables, and the dreamers will keep using public money to find the magic formula. But little will change over the next 25 years. The federal Energy Information Administration’s Annual Energy Outlook says in 2035, demand for liquid fuels will increase by almost 10% over 2008 levels, natural gas by nearly 7% and coal by 12%. While use of renewables will increase as well — by 81%, including hydropower — they will still be unable to unseat our dominant energy source. Fossil fuels’ share of consumption will fall by only six percentage points, from 84% to 78% by 2035. Renewables will provide about 8%. It’s clear that renewables, which have benefited from government subsidies far in excess of what fossil fuels have received, can’t compete in today’s market and won’t be faring much better a quarter century from now, according to the government’s own reckoning. It’s just as clear that throwing taxpayers’ dollars at renewables has produced little progress. Spain provides perhaps the best lesson. The government there has spent $43 billion on solar energy projects, yet solar provides less than 1% of the country’s electric power. It was a bad investment. Chasing the wind is just as ineffective. When Congress temporarily eliminated wind power credits in 1999, 2001 and 2003, the number of new turbine projects fell sharply. The Texas Public Policy Foundation says that providing a modest level of wind power in that state would cost taxpayers at least $60 billion through 2025. Biomass is also a poor substitute. It’s both primitive — its sources are wood and trash — and an environmental nightmare, devouring in some cases as much as 10 times the land mass than needed to create a wind farm. And wind farms themselves are big land eaters. Geothermal energy, considered “free” energy from the earth, is also a space eater that requires heavy capital investment, which is often hard to recoup. In California earlier this month, a geothermal project was abandoned, despite a $6 million grant from the Energy Department and roughly $30 million in venture capital. Maybe some of these renewables will one day be cheap and reliable. Technological advances will help. But today they are neither cheap nor reliable, and, based on the government’s report, won’t be for another generation. Until they can compete, the country has to rely on proven sources: fossil fuels and nuclear power. To force cutbacks on these so that renewables can get a bigger market share, and to continue to fund projects with public money, is foolish and irresponsible. This is a huge waste of tax payer dollars, something that Congress is very good at. Spain, by the way, promised millions of “green jobs” but instead saw only increases in the unemployed, once again proving that if one listens very closely to what the liberals recommend, and then does the exact opposite, things will usually work out much better. Spain’s quest to be “green” has destroyed their economy. Cap and trade schemes have crippled the entire European Union, as well. It would be one thing if the United States wasn’t sitting on massive oil reserves, reserves that rival the biggest oil producing nations, as well as a century’s worth of natural gas, and several hundred years worth of coal. But we are, and it’s criminal that we aren’t using these resources. As a practical matter, anyone care to guess what the effect of keeping an extra $700 billion to $1 trillion in the American economy would do for the American people? How about how it would effect state sponsors of terror, who rely on American dollars to fund these efforts? But of course, there is major corruption going on in these industries, and, as usual, you can trace this back to Barack Obama and his puppet master, former Nazi collaborator, and multi-billionaire, George Soros. Soros, the self proclaimed “owner of the democrat party,” funds many of the left wing organizations that drive the democrat/communist party machine. They are truly too many to mention, but groups like MoveOn.org, and even ACORN benefit from his billions. Suffice it to say, if there is a prominent democrat/communist cause, or group, you will find Soros involved. With that kind of money comes power and influence. And Soros wields incredible influence over his hand picked puppet, Barack Obama. Back in August the big talk was Petrobas, and the huge deal Obama made with the Brazilian Oil Giant. Obama “loaned” Petrobas $10 billion American tax payer dollars so they could drill offshore, something Obama and his thugs fight tooth and nail against in our own country. America is rich in oil, right off our own coast line, but we are told we will literally destroy the world, and all of mankind, plus all of the fishes in the sea, and the polar bears, of course, if we dare to drill for that oil. This made me wonder why, if drilling for our oil would be such a disaster, could one drill off the coast of Brazil without such harmful effects. Are the waters magical down there? Is there some sort of fairy dust that floats in the air that keeps the evil oil companies from destroying everything? Nope, turns out the answer is a lot simpler, and well, a lot more predictable. You see literally just days before our most corrupt president in the nation’s history was so generous with our money, his boss, George Soros, became the major stockholder in Petrobas! In fact, it became Soros’ largest holding. Funny how having Soros involved made all of the environmental concerns go away, huh? You can read more, including a statement from Sarah, here. But wait, there’s more! Remember the Copenhagen sham of a conference? Well, our buddy George was over there as well, causing all sorts of problems for those who wish to bring clean, and dare I say “green” natural gas to market. Under the guise of “saving the planet” Soros, and his enablers, sought to block all efforts. Energy: An oil company wants to invest its profits in clean-burning American natural gas. A Hungarian billionaire and a “green” politician want to stop it. This is the real Climate-gate scandal. While the greenies of the world united in Copenhagen to talk about the weather, emitting a Third World-country-size chunk of greenhouse gases to gather there, the world’s largest oil company, Exxon Mobil, was doing something about it. On Dec. 14, Exxon agreed to buy XTO Energy, a natural gas firm, in a deal valued at $41 billion. XTO is one of the leaders in something called “fracking” technology, in which water, sand and additives are pumped into the ground to unlock trillions of feet of natural gas previously thought to be unobtainable. This is what energy companies really do with their profits. They find more energy, then sell it to you. While the technique is not new, the technology exploiting it is. XTO has helped develop new technologies that let it drill a single well 9,000 feet and then bore horizontally through shale formations to unlock the natural gas trapped in the porous rock. The rock is fractured and the gas is pushed into accessible pockets whence it can be extracted with a minimal surface footprint. Because of these new technologies, it is estimated that the U.S. sits on 83% more recoverable natural gas than was thought in 1990. The Barnett Shale rock formations of Texas and Louisiana, the Bakken Shale formation in Montana and North Dakota, and the Marcellus Shale formation running through New York and Pennsylvania and other states may hold as much as 2,000 trillion cubic feet of this clean-burning, domestically produced fuel. We are the Saudi Arabia of shale. At current use, we have an estimated 90-year supply, if we are allowed to get at it. Slam dunk? Hardly. Rep. Ed Markey, D-Mass., one of the sponsors of the job- and economy-killing Waxman-Markey cap-and-trade bill and no fan of domestic energy, wants to hold hearings on the alleged environmental dangers of the new technology. There’s been an organized campaign to discredit fracking as an environmental danger to the nation’s water supply. Ed Lasky at American Thinker has traced a tangled web of deception that rivals the “hide the decline” campaign by the University of East Anglia’s Climate Research Unit. A media group called Pro Publica has done what it calls “investigative journalism” and exposed the alleged dangers of fracking in a series of stories it has provided free to cash-starved media outlets and newspapers. The first expose was an attack on energy companies developing the Marcellus Shale. Soros owns a major stake in a company called InterOil, a company that has discovered a large natural gas field in Papua, New Guinea, with which American shale resources would compete. Soros would rather have us import his liquefied natural gas than develop our own. His allies in the media, the environmental movement and the Democratic caucus are all too eager to exploit public fears to do it. Roger Willis owns a hydraulic fracturing company in the Pennsylvania town of Meadville. He says thousands of frack jobs have been done in rock formations above and below the Marcellus Shale in New York state with no aquifer damage. Whether some are trying to hide the decline in global temperatures or the abundance of clean-burning domestic natural gas, it’s a scandal. If we’re serious about both carbon emissions and energy independence, let’s stop this nonsense and get the fracking gas. Another story, another corrupt democrat/communist, and another case for severely limiting the amount of time one can “serve their country” in Washington. Let’s face it, crooks and usurpers like Gore, Obama, and Soros would have a harder time influencing policy if Congress worked as the founders intended, and actual citizens served a term or two, and then went home, forced to live under the laws, and conditions, they help to create. But that’s another story for another day. Doesn’t have to be though, that’s for damned sure! 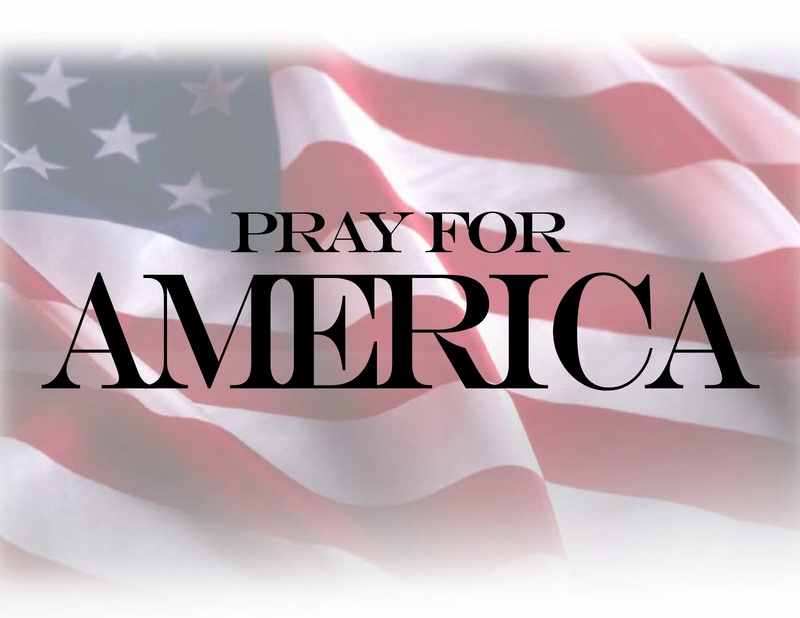 First, we must get rid of the corruption in Washington, no matter how hard it is, how much time and effort it takes. We all know this entire global warming scam is nothing more than a way for a select few to enrich themselves on the backs of normal hard working people world wide. Greed and corruption has been with us since the beginning of time, but the current president and Congress have certainly set the bar at a whole new level for future politicians to shoot for. Heads need to roll and jail cells need to be filled. Say,…. maybe we CAN buy that prison in Chicagoland after all. That way Obama will feel at home while he serves out his sentence after he is convicted of his High Crimes and Misdemeanors. He will have a lot of company there if we do this right! Gore could be his cell mate! Next we need to look at the suggestions that Sarah Palin has been making for years now. Sarah has an incredible commonsensical approach to the whole problem that will work. Obviously, we need an “all of the above” approach to the energy issues at hand. And well, we also would like to have clean energy, please. We are now spending not millions, not billions, but trillions of dollars, amounts of money that are so large that no one can really comprehend fully them. Obama and his corrupt Congress have spent more money in one year than all of our previous presidents and congresses have in the nation’s 233 year history, COMBINED! For what? For failed programs that do little but put us further in debt, and cost more jobs. Nothing is created, we might as well just pile the money up and burn it. At least it would keep us warm this winter! For what we are throwing away on all of these idiotic programs we could start a crash program that would guarantee energy independence, and our national security for the foreseeable future. We need a program similar to the one that saw us go from small rockets that blew up more often than not, to walking on the surface of the moon, in less than a decade. We need a serious “all of the above” approach. We have the oil, and we know how to get it. Stop the bureaucratic nonsense and “drill baby drill” make it a matter of national security, and tell all of the crazed groups who would try and stop it through law suits, and what have you, to go take a powder. Next, get that natural gas to market, and instead of wasting efforts on silly things like electric cars, work on converting the fleet to natural gas. I could write a book on why natural gas is the right solution for much of our automotive needs, but will save that for later. Suffice it to say, for now, that this is well proven technology. 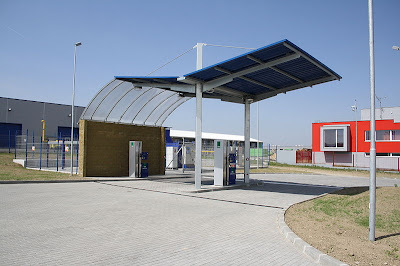 The Big 3 automakers, Ford, GM, and Chrysler, have made cars, trucks, and buses that run on compressed natural gas (CNG) for decades. With today’s engine management technology, coupled with exciting new things like direct injection for gasoline engines, the time is right to move from using gasoline exclusively for motorfuel. As a bonus, diesel engines can be converted to run, and run well, on CNG too. Natural gas burns very cleanly and would reduce (actual) harmful emissions greatly as well as extending engine life. After billions spent, and Lord knows how many attempts, the mechanics of it all, and the results are really no different than the were 100 years ago. An all electric vehicle is still no more practical. It still has a very limited range of travel, top speed, and driveability. Oh, and they cost a lot of money, and since they must be plugged in to the existing electrical grid, they use the same “dirty” electricity that all of the greens are losing their minds over today! Oh sure, you can buy a hybrid, but they are underpowered, overpriced, and only work because they also have a gasoline engine for when you actually want to drive them somewhere. Other than making yourself feel better, and lightened your bank account unnecessarily, you’ve accomplished absolutely nothing. Oh, and those batteries? Major environmental hazzards. Wait till the landfills start filling up with those deals. Talk about pollution! Of course, any discussion that talks energy, must talk nuclear. We must do it. France gets nearly 80 percent of it’s electricity from nuclear energy. France! If France can do it, the United States, the most powerful nation on earth, most certainly can. It always amuses me: We actually aid rouge nations, nations who want to develop nuclear weapons to destroy the world, by helping them set up civilian nuclear plants “to generate electricity,” and yet, we are absolutely verboten from building our own cheap, safe, and really clean sources of nuclear power. It is the very definition of insanity. Again, move the enviro-nuts out of the way and start expediting the process. Instead of wasting billions on “cash for clunkers” or trillions trying to destroy the best health care system on the planet, lets make it our goal to get 80 percent of our electricity from nuclear power, in say, a decade! In the mean time, it is said that we have several hundreds of years worth of coal. It is actually our most plentiful source of energy in this country. It goes without saying that we need to develop clean coal technology to it’s fullest. Now, while all of this is going on, we absolutely should look at other ways to generate energy, and power our cars and trucks. That quest should never stop. But we need better ideas than what we have now, because so far, we don’t have true workable solutions, solutions that can work in a free market. In other words, solutions that will work without billions, or trillions in tax payer funded subsidies. Now the other benefit from all of this is Joe Biden’s favorite three letter word “J-O-B-S.” And I’m not talking the Barack Obama style temporary jobs, or jobs in government. I’m talking quality, durable jobs. Jobs that will pay Americans a good wage for a good days work, the kind of jobs that built America in the first place. Energy is the single most important issue to society in general, and the United States in particular. The entire world runs on energy. We simply can’t function without it. Even more important, something that most folks overlook, even if we stopped using oil today, as a source of fuel, almost every product you use, every medicine you take, has some form of petroleum in it’s base. Oil isn’t going away! We need to get serious for many reasons. A realistic energy policy, one like Sarah Palin has been touting for years, will not only give us economic security, but security from terrorism, as well. It will make America independent and able to look out for her own interests rather than having to bow before ruthless dictators world wide, just to keep the flow of our economy’s lifeblood coming. We will no longer fund terror, and we will no longer have to be gentle with nation states who continue to sponsor terror. A coherent and comprehensive energy policy will create millions upon millions of well paying, durable jobs, for generations to come. The push to attain this goal will stimulate our economy right now, and create real jobs, right now. It’s time to “Drill Baby, Drill” and do “all of the above” as well. 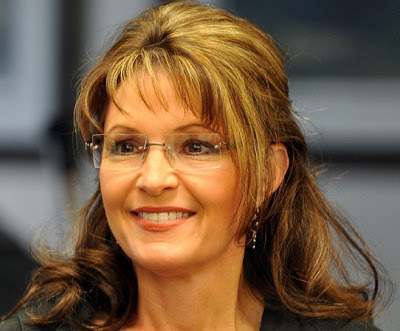 Dewey Whetsell a longtime commercial fisherman, veteran fire fighter and fire chief, jazz musician, and poet from Alaska penned a very nice retort to all of those who would say Sarah Palin isn’t the real deal, a true leader. Those who follow Alaska politics know these stories well, but the rest of America should understand this as well. You can check out Dewey Whetsell’s website here, the man has a very interesting life’s story. “The last 45 of my 66 years I’ve spent in a commercial fishing town in Alaska. I understand Alaska politics but never understood national politics well until this last year. Here’s the breaking point: Neither side of the Palin controversy gets It’s not about persona, style, rhetoric, its about doing things. Even Palin supporters never mention the things that I’m about to mention here. 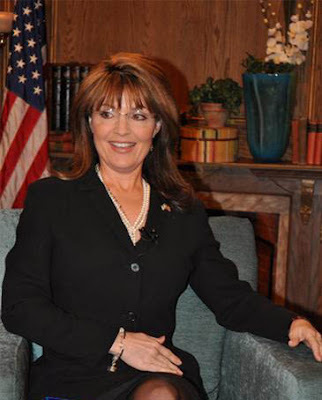 1- Democrats forget when Palin was the Darling of the Democrats, because as soon as Palin took the Governors office away from a fellow Republican and tough SOB, Frank Murkowski, she tore into the Republicans Corrupt Bastards Club (CBC) and sent them packing. Many of them are now residing in State housing and wearing orange jump suits. The Democrats reacted by skipping around the yard, throwing confetti and singing la la la la (well, you know how they are). Name another governor in this country that has ever done anything similar. But while you’re thinking, I’ll continue. 2- Now with the CBC gone, there were fewer Alaskan politicians to protect the huge, giant oil companies here. So, she constructed and enacted a new system of splitting the oil profits called ACES. Exxon (the biggest corporation in the world) protested and Sarah told them don’t let the door hit you in the stern on your way out. They stayed, and Alaska residents went from being merely wealthy to being filthy rich. Of course the other huge international oil companies meekly fell in line. Again, give me the name of any other governor in the country that has done anything similar. 3- The other thing she did when she walked into the governors office is she got the list of State requests for federal funding for projects, known as pork. She went through the list, took 85% of them and placed them in the when-hell-freezes-over stack. She let locals know that if we need something built, well pay for it ourselves. Maybe she figured she could use the money she got from selling the previous governors jet because it was extravagant. Maybe she could use the money she saved by dismissing the governor’s cook (remarking that she could cook for her own family), giving back the State vehicle issued to her, maintaining that she already had a car, and dismissing her State provided security force (never mentioning, I imagine, that she’s packing heat herself). I’m still waiting to hear the names of those other governors. 4- Now, even with her much-ridiculed gosh and golly mannerism, she also managed to put together a totally new approach to getting a natural gas pipeline built which will be the biggest private construction project in the history of North America. No one else could do it although they tried. If that doesn’t impress you, then you’re trying too hard to be unimpressed while watching her do things like this while baking up a batch of brownies with her other hand. 6- President Obama wants the nation to be on 25% renewable resources for electricity by 2025. Sarah went to the legislature and submitted her plan for Alaska to be at 50% renewables by 2025. We are already at 25%. I can give you more specifics about things done, as opposed to style and persona . Everybody wants to be cool, sound cool, look cool. But that’s just a cover-up. I’m still waiting to hear from liberals the names of other governors who can match what mine has done in two and a half years. I wont be holding my breath. As we have been saying for a long time, Sarah Palin was an incredibly effective Governor, and a true servant of the people. The kind of woman who isn’t afraid of whatever challenge that faces her. As she has shown in the past few weeks, she is more than ready to take on big government, like she has big oil. 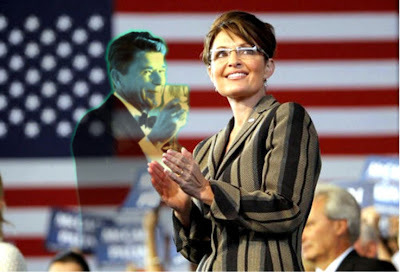 And if Sarah Palin could tame Exxon-Mobil, I’m sure she will make quick work of D.C.! 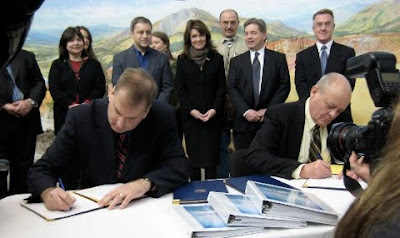 BTW, even though she has given Exxon-Mobil absolute fits, they were more than happy to sign on as a partner in the Trans-Canada natural gas pipeline, her crowning achievement as Governor, that Dewey mentions in his letter. People, like myself, who have followed Sarah for some time, understand the greatness of this woman. Sarah Palin is an American leader who has what is sorely needed today: The ability to get things done, good things for the people.